In preparation for teaching Survey of the Old Testament this semester, I’ve been reading several introductory works on the OT. On one hand, I’ve been working my way through Edward J. Young’s An Introduction to the Old Testament, Revised Edition (Eerdmans, 1964). Young taught OT at Westminster Seminary, was fully conversant with modern historical-critical study of the OT, yet largely rejected it, and defended traditional, pre-critical understandings of the OT, including affirmations of its historicity. On the other hand, I’ve also been reading Tremper Longman III’s Introducing the Old Testament (Zondervan, 2012; an abridgement of Longman and Dillard’s An Introduction to the Old Testament). Longman is a contemporary evangelical who attempts to bridge the divide between naturalistic modern historical-critical and traditional approaches to the OT. The contrast between Young and Longman is evident at numerous points along the way in their handling of the OT. While Young tenaciously defends the general historical reliability of the OT accounts (creation, exodus, conquest, etc. ), Longman offers an excursus on “theological history” in which he argues that one need not defend the historical veracity of OT details in order to appreciate its theological purposes (pp. 84-85). Thus, Longman states: “While not all narrative texts are necessarily historical (e. g., Job) and not all historical texts are concerned with the same measure of precision of historical reporting (e. g., Gen. 1—11), historical narrative is important in the Old Testament” (p. 84). He urges readers to distinguish “between writing about past events and the events themselves,” noting: “Historical narrative is a representation of the events and involves literary artifice” (p. 84). I was struck by the divergence of these approaches this week as I read both authors on the genre and historicity of Esther. Like Ruth, Esther has been catalogued as a short story or novella, often with the implication that it is a work of fiction. However, the highly artistic nature of the storytelling does not preclude the idea that the book is telling a story that, at least in broad outline, actually happened in space and time. Debate will continue, since, while classical and cuneiform sources by and large demonstrate the author’s familiarity with Persian mores and court life, there remain some problems with the historical details of the book (p. 82). However, in light of the remarkable historical and geographical accuracy of the book, and in view of the extremely weak character of the arguments adduced against that historicity, in view of the fact that the book purports to be straightforward history and is lacking in the fancy that characterizes mere romances, we believe that the only correct interpretation is to regard the work as strictly historical (p. 357). These contrasting conclusions highlight two divergent approaches to the study of the Old Testament, the assimilation of modern historical-critical scholarship, and the affirmation of Biblical authority. Upon reflection it appears to me that the contrast between Young and Longman is not merely that between a “fundamentalistic” and an “evangelical” approach, but that between a “confessional” and a “non-confessional” approach. 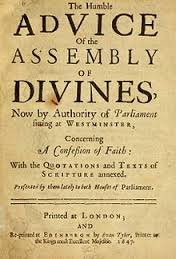 Young’s insistence on the historicity of Esther (and the rest of the OT) flows from his commitment to the infallibility of Scripture as expressed in chapter one of the Westminster Confession of Faith.